After a wildly successful 50th anniversary year in 2013, the program underwent a change in lead actor during the final scene of the year’s Christmas special; in keeping with a plot contrivance that has enabled the show to run for so long (periodically the title character entirely changes bodies… Google it if curious). To give the proper, full-episode debut of this new Doctor, played by former The Thick of It star Peter Capaldi (PeekYou profile here), a nifty push, the program’s two leads, as well as its showrunner, are going on a 12 day, 7 city intercontinental jaunt to spread the good word. Joining Capaldi for this global junket will be Jenna Louise Coleman (PeekYou profile here), who plays the Doctor’s latest companion Clara, and Steven Moffat (PeekYou profile here), the somewhat divisive — if wildly successful — figure who has been the show’s head writer and Executive Producer since 2010. 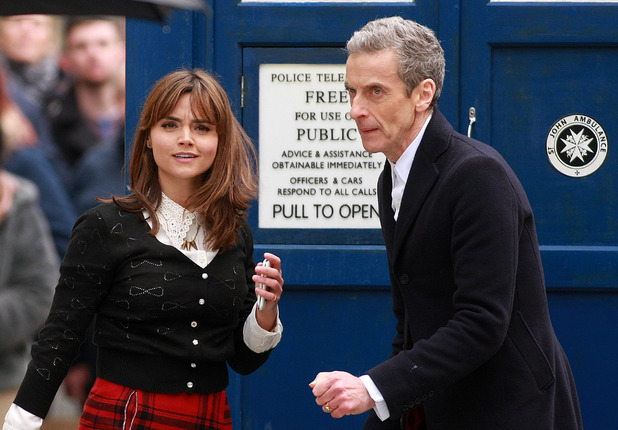 To see where else we’ve blogged about Doctor Who click here.